« Highway 26: Last Chance to weigh in! This entry was posted on April 7, 2013 at 6:55 pm and is filed under Natural History. You can subscribe via RSS 2.0 feed to this post's comments. Good point, Jim! So I’ll amend the general “tick country” dividing line to be “Bonneville Dam on the Oregon side and Stevenson on the Washington side” (roughly). You’re right that the heaviest recreation in the oak savannah part of the Gorge is largely on the Washington side, in places like Coyote Wall and Catherine Creek. Good tips. This is only anecdotal, but I’ll add that in 17 years of hiking and living in the western Gorge (west of Multnomah Falls), I’ve never had a tick or had a relative/guest get one. 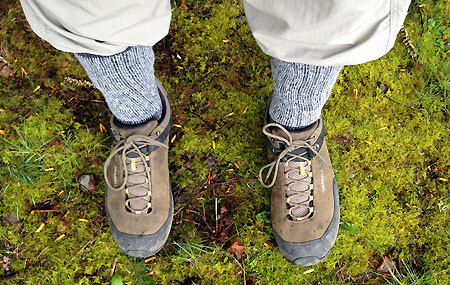 This includes owning 4 acres of timberland, walking through brush while working outside, and bushwhacking between trails. They may exist at the west end but must be exceedingly rare? That’s been my experience, too, Mark. I’ve brought ticks home from Eagle Creek on a couple of occasions (and heard similar reports from others), so that’s the hard science behind my theory that Bonneville marks a transition point. The Lowes used Horsetail Creek as the divider in their hiking guides of the 70s and 80s, but not sure if that was based on personal experience (most likely). I’ve probably brought home a dozen from east of Eagle Creek — including the Herman Creek area, Starvation Creek, Viento Creek and in the more typical places east of Hood River. I also spotted one climbing up my leg on Middle Mountain (near Parkdale) on a south-facing Ponderosa/Oak hillside — that’s as high as I’ve noticed one in the Mount Hood area. Great article Tom, could have used it a few weeks ago when I found a tick the next day embedded in my back after hiking Rudolph Spur, near Cascade Locks. Second tick lifetime for me. This was an excellent article Tom, thank you for helping to bring awareness to this debilitating and potentially deadly disease with such detail. Unfortunately, there are well over 100 people who have taken part in the Mid Columbia Lyme Disease Support Group in the last few years and new Gorge residents, including children, are being diagnosed with Lyme almost every single month of the year. “But if you remove the living tick within 24 hours, you’ve likely removed any risk of infection with a tick-borne disease” According to Dr Joesph Burrascanco, an internationally known expert on Lyme Disease, recent studies show that ticks can transmit disease after being attached for only 4 hours. And about 4 hours later, the lyme bacteria can find their way into your brain. 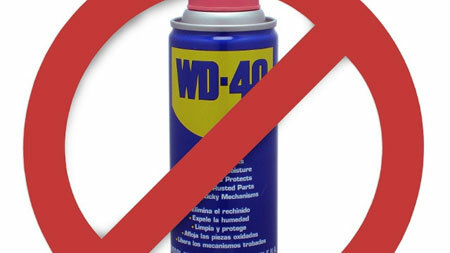 Don’t chance it, remove the entire tick. “The risk of Lyme infection from a tick bite is estimated at 1-3 percent” Newer research shows about 30% of ticks can be infected, even in this area, and a physician in Portland who specializes in Lyme said if bitten by a tick in the Gorge, they would recommend 6 weeks of doxycycline, no questions asked. The CDC states that only 1 in 10 of those WITH lyme disease will test positive and meet the “reporting” criteria, which means the other 9 test negative and are still sick (and sometimes have trouble getting treatment unless they see a lyme literate doctor who can make a clinical diagnosis). http://www.lymedisease.org can help find you a physician. The only local doctor that has regularly attended International Lyme & Associated Diseases Society (ILADS) conferences is Dr. Joan Laurance of Hood River. Many of those very ill with Lyme in the Gorge have been treating for over 5 years at an average cost of $3000/month in out-of-pocket expenses, because insurance companies can still find doctors to testify “lyme is hard to catch and easy to cure” which makes it possible for insurance companies to refuse coverage for necessary medications. Recent, more accurate, research shows Lyme is easy to catch and can be extremely difficult to cure especially if other co-infections like Babesia, Bartonella, Erlichia are also transmitted by the tick. 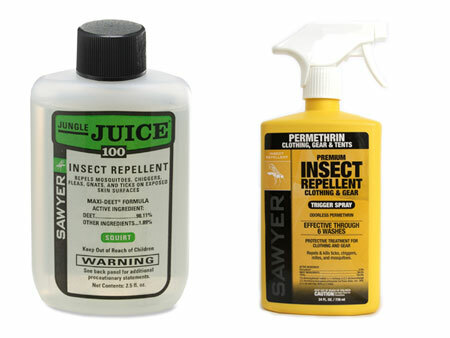 Look these up, they can also be potentially deadly and very debilitating. An excellent documentary on lyme, “Under Our Skin”, can be viewed free here: http://www.hulu.com/#!watch/268761 if you missed the local showings of it. The Mid Columbia Lyme Disease Support Group meets the first Tuesday of each month from 5:30-7, at the Hood River Adult Center off Brookside Drive, just west of the Sports Club. Thanks for making people aware of ticks in our area. I’d just like to add that ILADS is a better organization to look up for further information about ticks. The CDC information is very vague and incorrect on many points, especially treatment. Tick bites are not to be taken lightly. I’ve been severely ill with Lyme disease contracted through a tick bite for 9 years now. It has absolutely changed the course of my life. I have been about 80-90% bed ridden for years. Unfortunatley, I did not know I had lyme while having children and ended up passing it on to my two children in utero. We are all three under treatment after finding a Lyme literate doctor a few years ago. It’s a long road to recovery, however. Treatment is quite simple if the illness is caught quickly, but very difficult if its been in your system for a while. So, my message to you is to not take tick bites lightly. Still enjoy the outdoors but know what to do if you get bit. Immediate treatment is the key. Thank you for your efforts to present info on Lyme Disease. My tick exposure was March 2006. 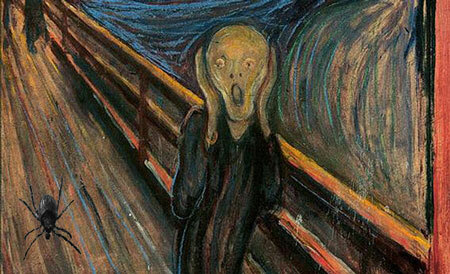 In April 2006 I experienced what I thought at the time was the worst flu of my life for 2 weeks. It mostly passed but in June 2006 I had an afternoon when my body demanded that I lay down due to overwhelming fatigue. I grabbed my journal on the way to my hammock but once I laid down I was completely unable to move – at all – could not even hold a pen. That paralysis passed within a couple of hours. That began my search for a medical intervention and diagnosis. Because local doctors believe Lyme is ‘rare’ it took nearly a year to be diagnosed – and I was the one to suggest it and then had to find a doctor that would knowledgably test for it. At my sickest I could not work, read, play my clarinet, watch tv or movies. I washed my hair about once a month and had to rely on friends to wash my dishes and take me for short walks in the yard. Prior to this illness I worked 40 or more hours, was a member of the Gorge Winds Band and the Mid-Columbia Sinfonietta, volunteered within the community and took advantage of the great hiking and recreational opportunities in the Gorge. 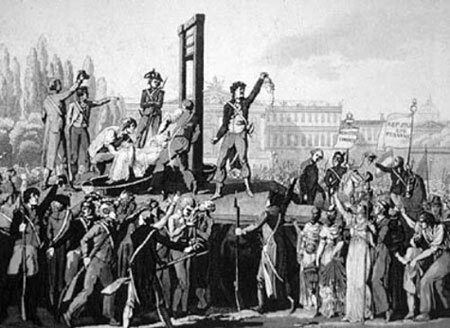 Now, in 2013, I’m able to work 18 hours a week and I read for recreation. Just this month I started flat water kayaking – my friend carries my kayak to the water for me. 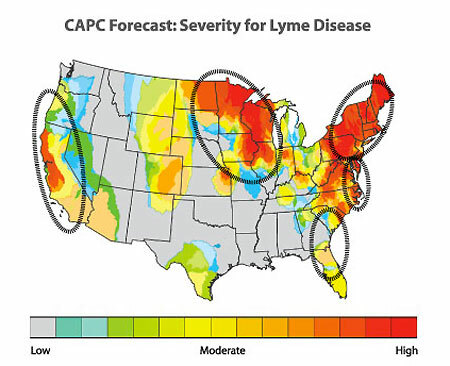 Lyme Disease is considered ‘rare’ because it is not adequately defined and the tests required to meet the CDC surveillance criteria are extremely poor and lack sensitivity. Just one example of this sensitivity is that the current Westen Blot teat for Lyme tests specifically for 3 strains of Lyme disease. There are over 300 strains of Lyme documented. To understand the Byzantine world of Lyme, please read Cure Unknown, by Pamela Weintraub and or watch the Academy Award Nominated documentary Under Our Skin (available on Netfix and HULU.com. Please do NOT rely solely on any one website for your research – especially the CDC’s website that extolls the IDSA Lyme Treatment Guidelines that were found by the Connecticut Attorney General to have been written by excluding 1/2 of the Lyme Science available, science that does not support IDSA’s science. Please check out http://www.ilads.org for info more balanced than common ‘knowledge’ about Lyme. Better yet, walk a mile in my shoes for 1.5 hours and watch Under Our Skin. Contact me if you have any questions. 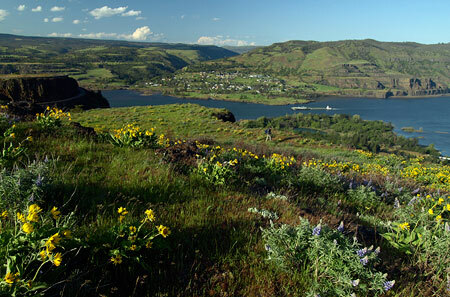 541-399-4214 or pritz@gorge.net. I had never seen a tick until I moved to White Salmon and I was bitten three times in the first year right in downtown area and did contract chronic Lyme. Only in one instance did I have a bull’s eye rash. i really appreciate your alerting the public but feel you are too reassuring about this terrible illness that takes a huge toll in our area. 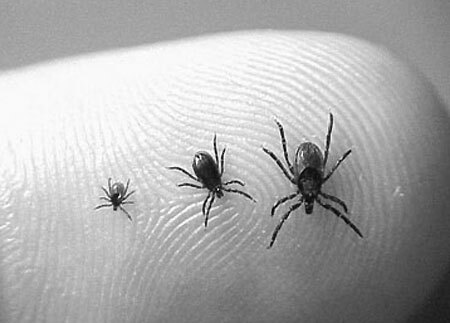 For one thing, these ticks contain a number of virulent microorganisms: borellia, bartonella, babesia, Rocky Mtn Spotted Fever, ehrlichia and others. Three members of my family have been bitten (one in CA) and are very sick. It is well worth an ounce of prevent of taking a 6 week course of antibiotics if you know you have been bitten versus the many years of suffering with numerous symptoms that can be the alternative. You can’t know if the tick that bites you is free of infectious organisms and symptoms may not show up for months. Lyme is more prevalent here than you think– I know a number of people here in White Salmon who have Lyme still or have had it and were fortunate enough to be cured with antibiotics after only a year or two of treatment. It is during the first month that a complete cure is possible. I’m sorry you don’t feel you can post my comment. I’d be interested to know why since it contains information that can help area residents. I’d be happy to shorten it if that’s the issue. Thank you so much for writing about this important subject. I too contracted Lyme Disease (along w/ 2 other infections) after being bit as a child. 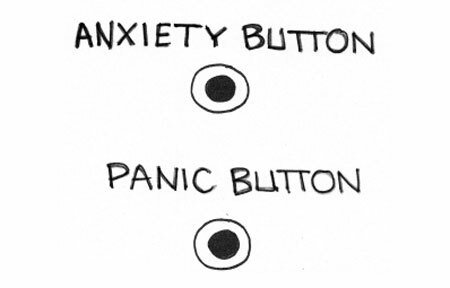 I had vague symptoms starting in my 20’s but it wasn’t until 2 very stressful events in my life (in my 40’s) really began to bring out more symptoms. Like Shingles, Lyme can lie dormant for years or your body’s immune system can keep it in-check until something compromises this system. Lymedisease.org is a much better site for the most up-to-date information. There is also a fabulous documentary, Under Our Skin, that can be viewed on Netfix or Hulu.com. A few more comments, Lyme can be transmitted in less than 24 hrs. My tick was attached for less than 24 hours and I know of others’ as well. Lyme is way under-reported as the reporting criteria is quite stringent. Even the CDC acknowledges that the disease is probably 10 times more prevalent than reported. Testing is unreliable which adds to under-reporting issues. I personally know at least 30 people in the HR area who have Lyme Disease and the Mid Columbia Lyme Disease Support Group knows of at least twice this amount. Many of these people have been ill for years. Thanks again. I hope this information helps others who may be ill and aren’t sure what is causing it or prevents others from this terrible illness. If you are bit, find a dr who acknowledges Lyme Disease and is willing to help. 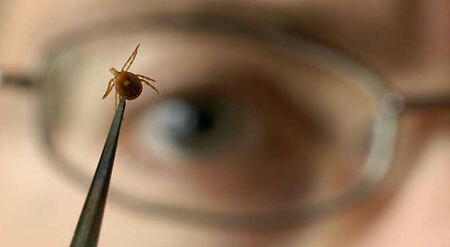 Contact the Mid Col Lyme Disease Support group for more information or help. Wow, N.A. Kern, I’d love to see that study! Thanks for the great comments and additional sources — and very sorry to hear about the struggles with Lyme disease. I hope there’s a better treatment solution (or even a vaccine) in the future. I’m anything but an expert on this, but did want to make sure that hikers visiting the Gorge take the tick risk seriously. I’m always somewhat amazed at the number of hikers I see on trails in poison oak/tick/rattlesnake country in shorts and flip-flops! So, the comments from folks who have actually contracted Lyme from ticks in the Gorge go a long way in making this “real” to people reading this article (and it’s has several hundred hits already). @ MidColumbia: not sure why you were unable to post, but it wasn’t anything on my end. It might be that something in your post was caught in the spam filter. Send me an e-mail and maybe I can help you get your message posted. Hi! 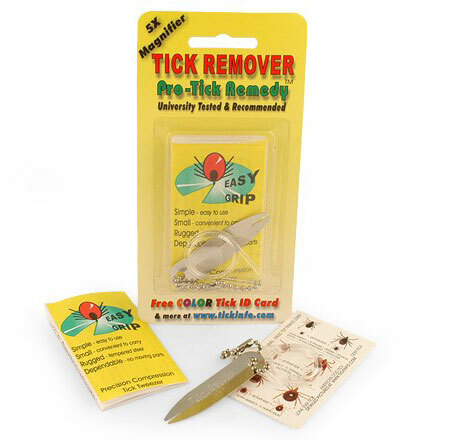 I was wondering if I could use the photo of the tick being held up by a tweezers/tool for one of my client’s blog posts. Let me know if you would like a link back to this site or how to do a photo credit blurb for you. Thank you! Shoot – I didn’t source that image, so not sure where I found it. Apologies for that — I use only use public domain images when they’re not my own, so it’s most likely from a public health organization and okay to use with photo credit. I just don’t remember who that was. 1 out of 7 dogs that were tested were positive for Lyme Disease in Hood River county. 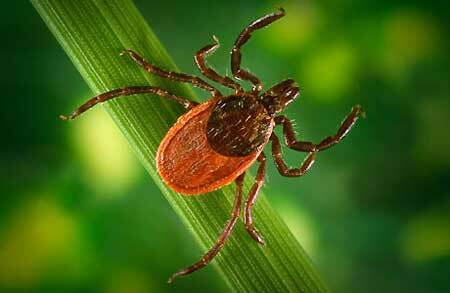 This number is approaching that of some of the highly Lyme endemic areas on the east coast. 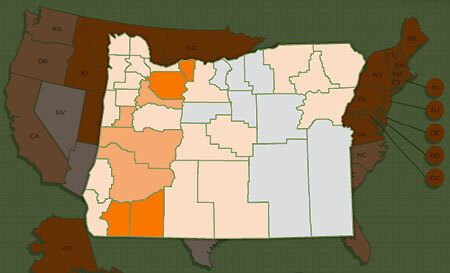 Also Oregon is listed on the map as having a “High” infection risk for Lyme Disease. 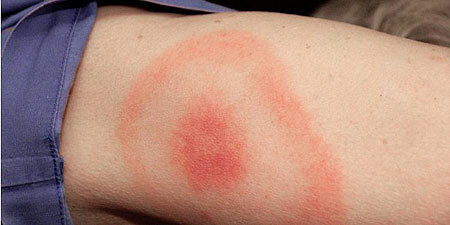 I got Lyme disease in Santa Rosa, Ca while hiking many years ago before any one knew what it was. I go to Oregon to hike and thought if I already had it, getting bit again is no big deal. That’s before I knew ticks carry so many other diseases. Never bit in southern OR where I hiked in the tall trees. My dog got it too, he was diagnosed by vet many years later. I had Bull’s Eye rash that went away after a week, and symptoms that did not set in for six months when they crashed me. Fever, stiff joints, sleeping all day, loss of appetite and weight. I still managed to finish my college degree by taking dexies, and later intravenous vitamin shots. This disease is to be avoided at all costs. The worst is that every single joint in my body hurts and is inflamed all these years later still. I will not go near any place with deer. I wouldn’t wish this disease on my worst enemy. You should be able to find it online – I googled it and found offerings from Walmart and other national sources. There are ticks in the Oregon Coast Range, but they are rarely reported — and even more rare along the Oregon Coast. Hmm… well, Bailey – if you’ve got a tick’s body and it wasn’t moving, then there’s a chance the head broke off when you were scratching it. The head on a tick isn’t very large, but if it’s not moving, then you should at least have a good look at the site (and all over, actually) with a mirror to see if you can spot the location where the tick was attached. Stop by your doctor’s office if you’re unsure, as leaving the head can cause infection. 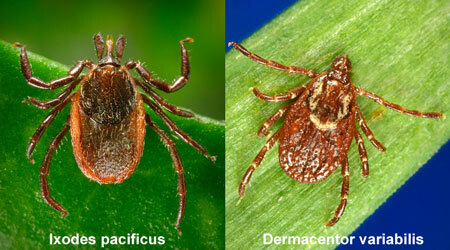 What with the unseasonable warm and wet weather this spring, this is looking like one humdinger of a tick season. 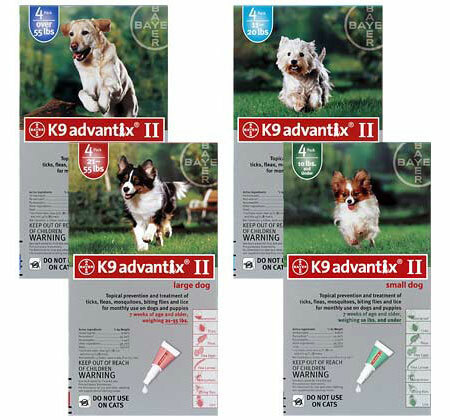 As a long-time dog owner fighting feas and ticks and using various medications and repellents without much luck, a strange thing happeed. About 7 years ago, I was eating an orange and my 18-month old black lab got really interested in the peel. So I offered it to her and she ate it right up. This got to be a ritual every day and soon she was joined by her younger male companion, a golden retriever. Much to my surprise, that next spring, we had no fleas and no ticks to pull off of either of them–well, there were one or two, but they didn’t seem to be interested in attaching themselves. Nowadays, each dog gets half of an orange, peel and all, added to their feed every day. I bring home more ticks than they do. Is it the orange oil in their feed? I don’t know, but their vet marvels at their lack of “passengers”. Very informative piece. 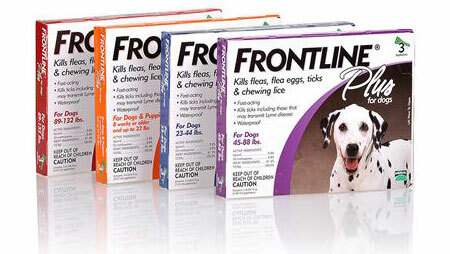 We hike daily and my dog always has several ticks only taking a ride thanks to Frontline. Found 2 on me this morning and one on the bed! Guess the ride must end somewhere!